I’m certain that when Anna Pavlova visited New Zealand in 1926 she was more concerned with the quality of her ballet performances than of the desserts she consumed. Fortunately for us, a local chef troubled himself with the later and created a dessert in her honor that consists of a pillow of meringue, topped with whipped cream or lemon curd (or both) and finished off with a scattering of fresh fruit. Best of all, it looks terrifically impressive and is perfect for company, but it’s also completely manageable if you’re willing to commit to a multi-step dessert. I was willing to make such a commitment for a recent Sunday afternoon meal. However, my only company was the boyfriend and he thinks – or at least pretends to think – that everything I make is terrifically impressive (another one of the many reasons I keep him around). In the absence of guests to impress, I went ahead with the Pavlova recipe because really, when have I ever let the absence of an audience stop me from making something delicious? And the Pavlova was delicious. It’s truly an exercise in varied textures. The crunch of the outside of the meringue contrasts with its marshmallow-like interior - achieved through slow and low cooking in the oven - and the creamy tartness of the lemon curd plays off the firm sweetness of the fresh fruit topping. All of these components come together to make not only an enjoyable mouthful, but also something beautiful to look at. And if you look closely, you may be able to imagine the ballerina’s tutu that inspired that pillow-like base. The next time around I may add a little more sugar to the curd or use Meyer lemons as the tartness actually turned my tongue raw. Or maybe next time I will stop at one or two helpings instead of carrying on to three or four. Either way, your choice. I’ve included the recipe as it was printed in the April issue of Gourmet. Trace a 7-inch circle on a piece of parchment paper cut to fit your baking sheet. Turn the parchment over and place on the baking sheet. Whisk the sugar and cornstarch together in a small bowl. 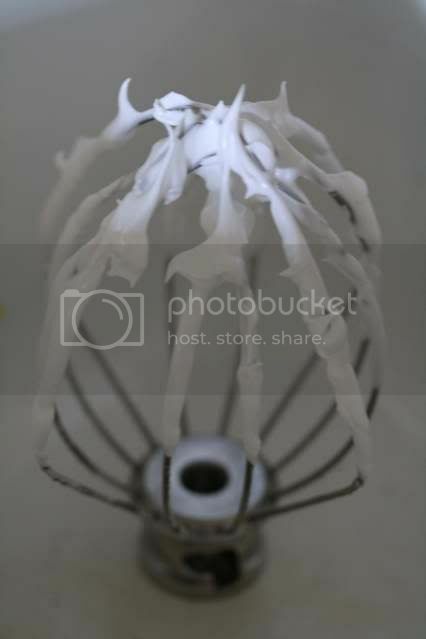 Place the egg whites and a pinch of salt in the bowl of a stand mixer fitted with the whisk attachment and beat at medium speed to soft peaks. Add the cold water and beat to soft peaks again. Increase the mixer speed to medium high and add the sugar and cornstarch mixture one T at a time. After the all the sugar has been added, beat for one minute more. Add the vinegar and beat for approximately five minutes until the eggs hold stiff peaks. Use a spatula to spread the meringue inside the circle drawn on the parchment paper. Shape a small crater in the middle by forming the edges higher than the center so you will have a place for the filling. Bake for 45 minutes until the meringue turns a tan color. Turn off the oven and prop open the door with a wooden spoon. 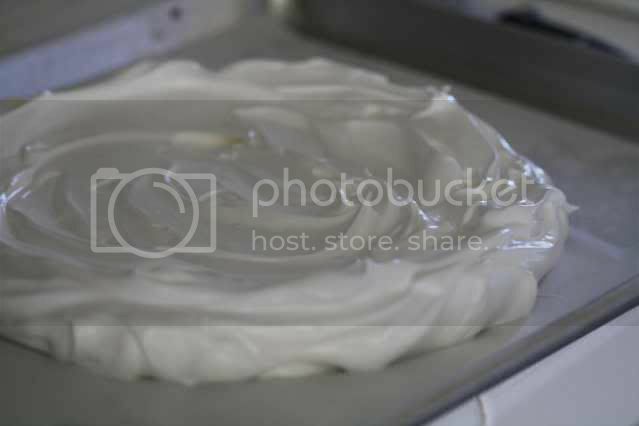 Cool the meringue in the oven for an hour. 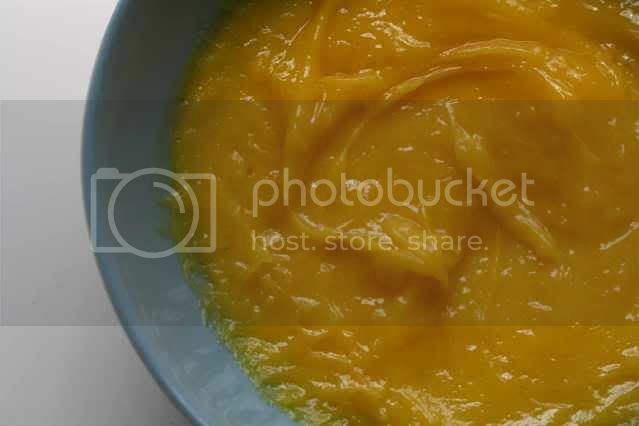 Whisk the egg yolks together in a small bowl and set aside. Stir the sugar, cornstarch and salt together in a medium saucepan. Place the pan over medium heat and add the lemon juice and butter. Bring to a simmer and continue to cook for one minute longer, whisking constantly. Temper the mixture by adding a 1/4 cup of the lemon and butter mixture to the egg yolks in a small drizzle, whisking constantly. Whisk the tempered egg yolks back into the pan with the remaining lemon mixture. Reduce the heat to low and stir constantly for about two minutes longer, until the curd has thickened. Stir in the lemon zest and transfer to a bowl. Cover with plastic wrap directly on the surface of the curd so a skin does not form and chill until cold 1 – 1 1/2 hours. Beat the heavy cream until it holds soft peaks. Use a spatula to gently fold 1/4 cup of the whipped cream into the lemon curd. Spread the lemon curd over the crater in your meringue and pile berries on top. Serve with the whipped cream to cut the tartness of the curd. Wow that looks amazing! I'm bookmarking this right away. I like how efficient it is, using the whites for the meringue and yolks for the lemon curd. Ummm.... looks super yummy! My MIL has a great lemon curd recipe using meyer lemons. I will acquire it and forward for you. (I'm quite content to just let her keep making it... my friends and I love to serve it with scones when we do traditional tea parties). This looks scrumptious. I'll bet it's delicious. Gorgeous! I'm going to make it for Mother's Day if I can get my act together! agreed, Hopie--waste not, want not! awesome recipe! ooo, yum! This looks totally decadent! Lemon curd and pavlova? Wow. It almost seems you can put anything on top of the combo at this point and have a happier life. Blueberries, raspberries, my little ponies.... This would taste amazing with a sparkling muscato d'asti. I am definitely putting this on the list for weekend cooking. I had a pavlova for the first time at Chez Pannise and it was incredible. This looks amazing and I've always wanted to try it. Thank you for the recipe! Beautiful as usual. I have never made a pavolva but I do luuuv lemon curd. oh my, every time I read your blog I want to make your recipes asap! I've been wanting to try to make a pavlova . . . crunchy, chewy deliciousness. mmm . . and lemon curd, nothing like it. I made it with a cheesecake one time. Looks so good! Oh how I wish it were not 100 degrees here in Arizona already! This looks wonderful, but the thought of turning on the oven...not as wonderful! Keep eating for me! Your pavlova looks perfect! 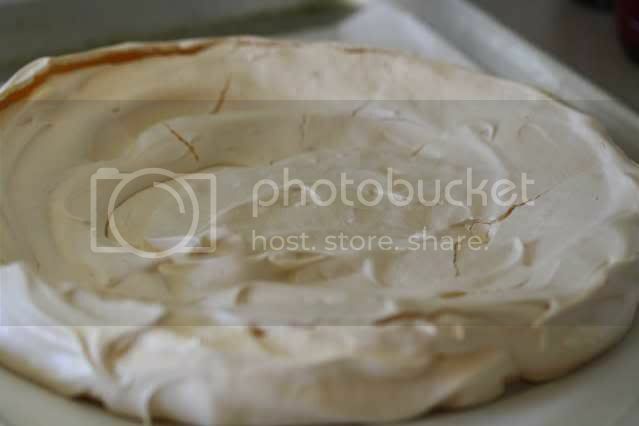 For some reason I have trouble with meringue - mine never wants to harden in the oven! What a wonderfully simple yet elegant dessert. You did an awesome job with it. It looks so light and delicious! So pretty too. I love Pavlova, I make a great Pavlova roulade which is always a crowd pleaser. I have passionfruit cream inside and fresh raspberries and pistacchio praline. I have only just discovered your blog and I love your photos! These flavours together must just spell out summer! I cannot wait to try this with berries I pick myself! Your lemon curd looks incredible and smooth. The colours are great together. Overall it looks fantastic! This evokes a visceral response--I just want to dive in! YUM! I saw this in Gourmet and have it earmarked to make asap, but have been waiting for an "audience" as well. Thanks for the push - I'm going to make it for just my plain ol husband (who would be just as happy with jello!). ... and looks divine to boot! Lately I've been loving the lemon curd. Your pavlova looks great! I've only made mini meringues and have never tried a bigger pavlova. One of these days . . .
Wow! I love the first picture... I've never been tempted to make pavlova before, but now I'm bookmarking it! Wow, the first photo is amazing! It makes me want to dive right in with the berries being so perfect. You did a beautiful job and kudos for making such a delicious looking dessert. That is a stunning looking pavlova! I found your blog through a friend, and love it. Beautiful pics and the recipes look wonderful. i'm bookmarking and trying some soon! thanks! Gorgeous and inspiring! Your Pavlova looks lovely! Lovely! I planted black raspberries this year so I can try and recreate a black raspberry pavlova I had about 15 years ago. It was so good that it burned itself into my memory. This looks amazing. I like to make mine with lime curd sometimes, too. Ive always wanted to try pavlova... yours looks delightful! 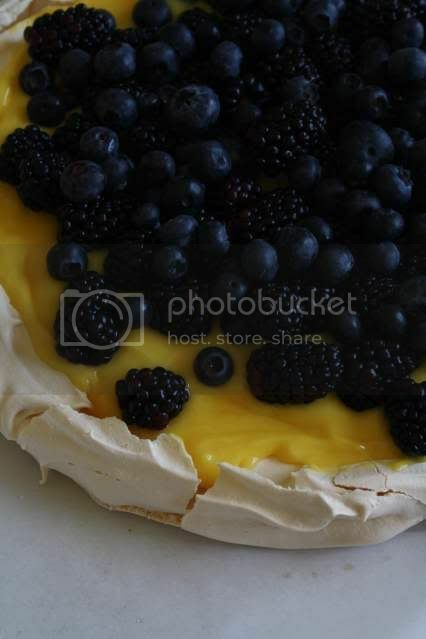 One of my goals this summer is to make pavlova- never had it. It looks so lovely there with the curd and berries!